For the second collab, the artist created a collection of hoodies designed by herself and a trio of collaborators she brought on board. From the team behind IDEA, to designer Julien Consuegra and artist Avi Gold, each of the three designed their own style. “I selected artists and friends whose work I like on a personal level and who have a unique design perspective,” Nirui explains. For her hoodie, the artist referenced Jacobs’ love and frequent use of daisies with a reimagined ‘I Can't Believe It’s Not Butter’ graphics. IDEA created a fake scratchcard-emblazoned hoodie (sadly, you don’t win anything) while Consuegra looked to dreams and Freddie Kruger for inspiration. Finally, Gold referenced his and Jacobs’ Jewish heritage with a bagel shop-inspired hoodie. 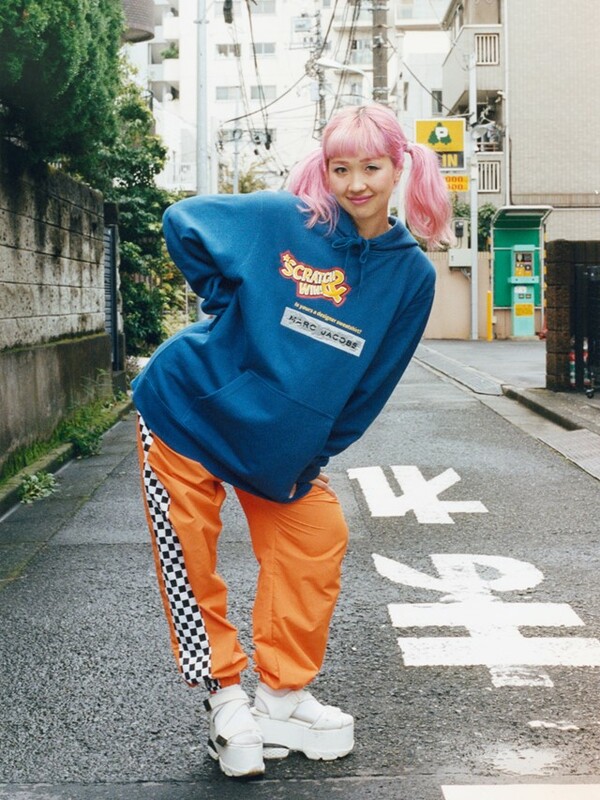 To shoot the collection, the artist headed to Tokyo with photographer Alex Leese to shoot the collection on teens they found while on their travels. “We found one of the girls selling her band's CDs in Shibuya the day before the shoot, and the skaters were from a beach town a few hours outside of Tokyo,” she shares. Elsewhere, the 14-year-old model and Japanese cool kid Yoshi appears.